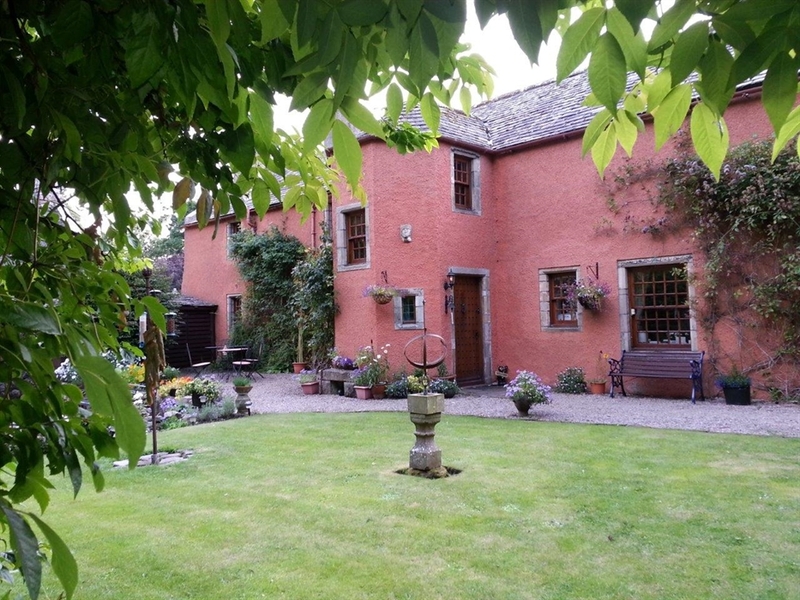 A unique and intimate wedding ceremony venue, nestled within 0.6 acres of glorious gardens and encompassing the remains of the original Deskford Castle Tower entrance and courtyard. A hidden gem. At The Secret Garden Wedding Company, we tailor our services to provide a unique wedding day experience. 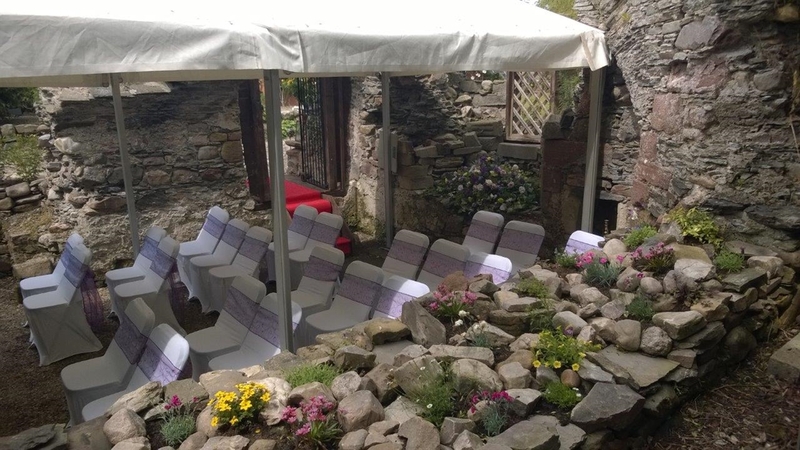 If you're looking for something a little bit different for your wedding ceremony venue, The Secret Garden Wedding Company offers a venue unlike anything else. 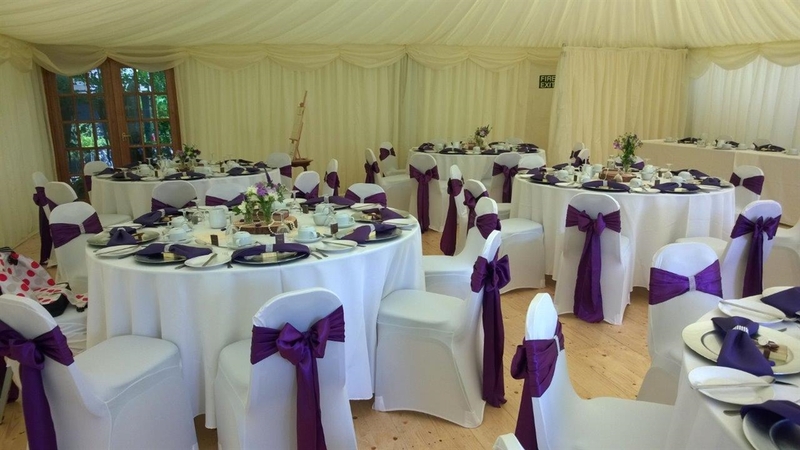 From offering the marquee-covered and styled courtyard of the remains of Deskford Castle for your wedding ceremony and access to the expanse of grounds and gardens for photographs, through to providing drinks receptions and catering services after the ceremony, we tailor our services to your individual requirements. We take pride in providing a personalised service. 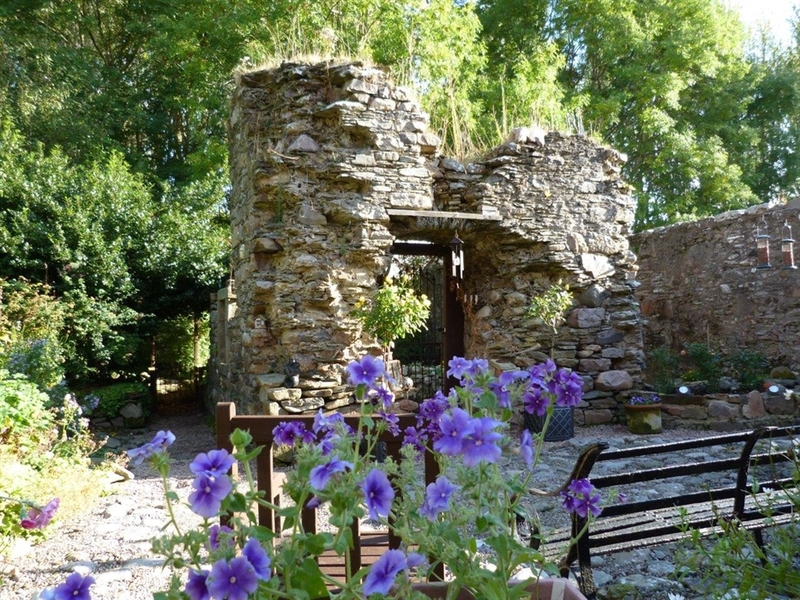 The remains of the original Deskford Castle Tower entrance and courtyard provide an intimate wedding ceremony venue for up to 70 guests. All nestled within 0.6 of an acre of glorious garden grounds, The Secret Garden is a hidden gem, embodying a network of twisting cobbled paths, draped in splashes of colour that extend from the main pond and 'Contemplation Corner' in the bottom garden up to the second pond in the more tranquil and secluded top garden, a perfect setting for your special day. 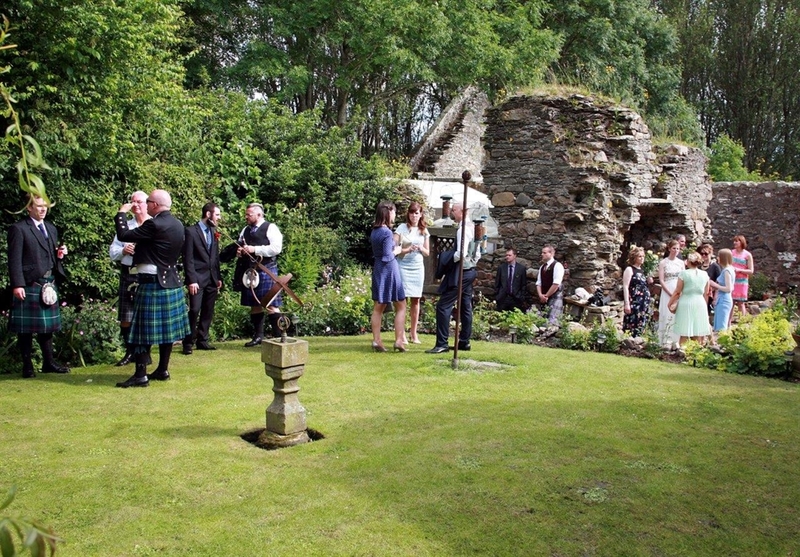 Our house, the 'Muckle Hoose', dating from around 1560, and originally part of the main wing of the Castle, also provides a beautiful back-drop for group wedding photographs.